The Last O.G. is an American 30 minute scripted comedy television series, which kicked off on April 3, 2018, on TBS and is broadcast every Tuesday at 22:30. The show is currently in its 2nd season. TBS has officially confirmed the renewal of The Last O.G. for Season 3. The exact release date is yet to be announced so far. Sign up to track it down. TBS has given season pickups to two of its original series. Cable's #1 comedy The Last O.G. will return with a second season and the blistering breakout comedy-thriller Search Party is renewed for a third season. Season one of The Last O.G. 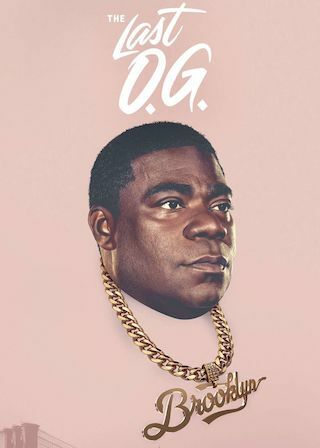 starring Tracy Morgan, Tiffany Haddish and executive produced by Jordan Peele has so far reached a multiplatform audience of nearly 25 million viewers across TBS' linear, digital, mobile and on-demand platforms. It is the largest cable comedy premiere since 2015 and is 2018's top cable comedy show. In addition to its ratings success, The Last O.G. has been positively received by television critics.